But is the new, feature-rich Hotmail better than Gmail? 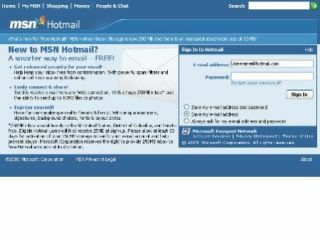 Microsoft set to release the latest version of Hotmail this coming July, but can the new features better Gmail? Microsoft's web-based email is still the most popular service of its type, although Hotmail has trailed behind Google's Gmail in terms of its features and overall ease-of-use for some years now. Microsoft hopes to change all of that with the latest version of Hotmail, previewing the various new features on offer this week. The latest version of Microsoft Hotmail is due to launch later this summer, at some point in July. The key question for techies being: "can Microsoft entice long-term Gmail users back to Hotmail?" Firstly, the new Hotmail will allow you to preview YouTube videos and Flickr photos within the message. Secondly, for business and work use, Microsoft is integrating Office Web Apps into Hotmail, allowing users to edit and save their work documents using Microsoft's online storage service, SkyDrive in combination with Web Apps. So users won't need Office on their PC to edit Word, Excel and PowerPoint docs. Microsoft has also introduced a range of new spam-fighting features and inbox-management tools to help users finally cut-out junk mails and better control the flow of necessary emails to their primary inbox. Rob Bamforth Principal Analyst, at Quocirca Ltd said of the new Hotmail: "Email users are being faced with challenges from inbox overload to an abundance of rich content format options; they are also increasingly on the move, with small screens and precious wireless connection time. "Time is of the essence and they need help to get the most useful and valuable stuff fastest, without being put off by not having the right app to access it, the cost of mobile download or the wheat being lost in the chaff. "The new features in Hotmail reduce inbox overload by cutting down on clutter and help plait the long tail of email. The integrated cloud services offer people a chance to review documents in the cloud, before deciding whether to download them. "Collaborative work is made easier as users can view, share and edit Office documents in the cloud"